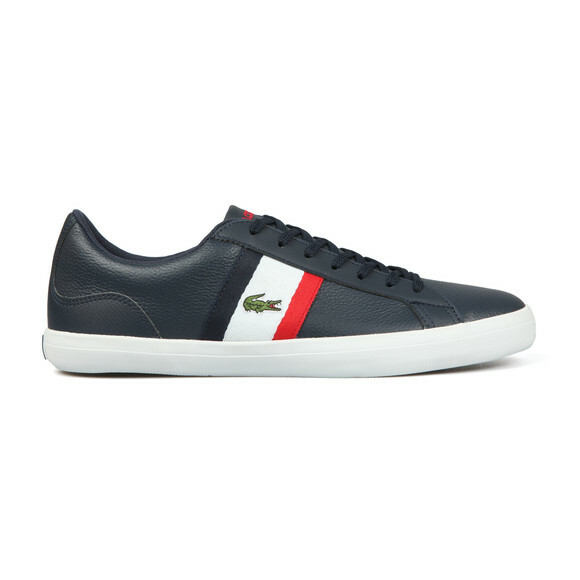 Lacoste Lerond leather Trainer in Navy/White/Red. A simple design with pure Lacoste detailing. 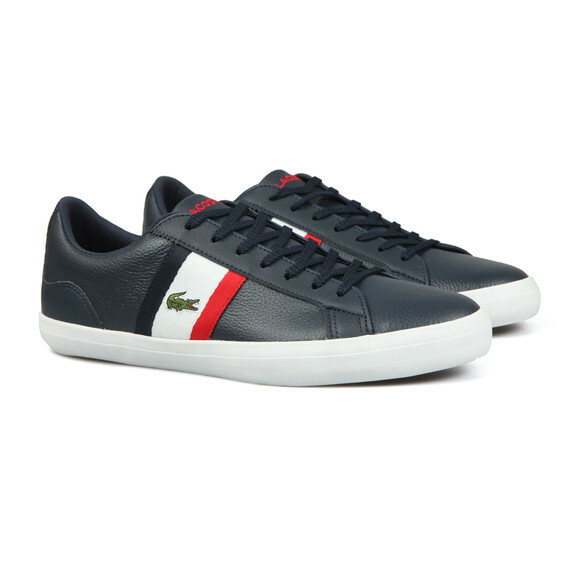 The trainer is leather and cut in a low-profile with contrast coloured side sole. 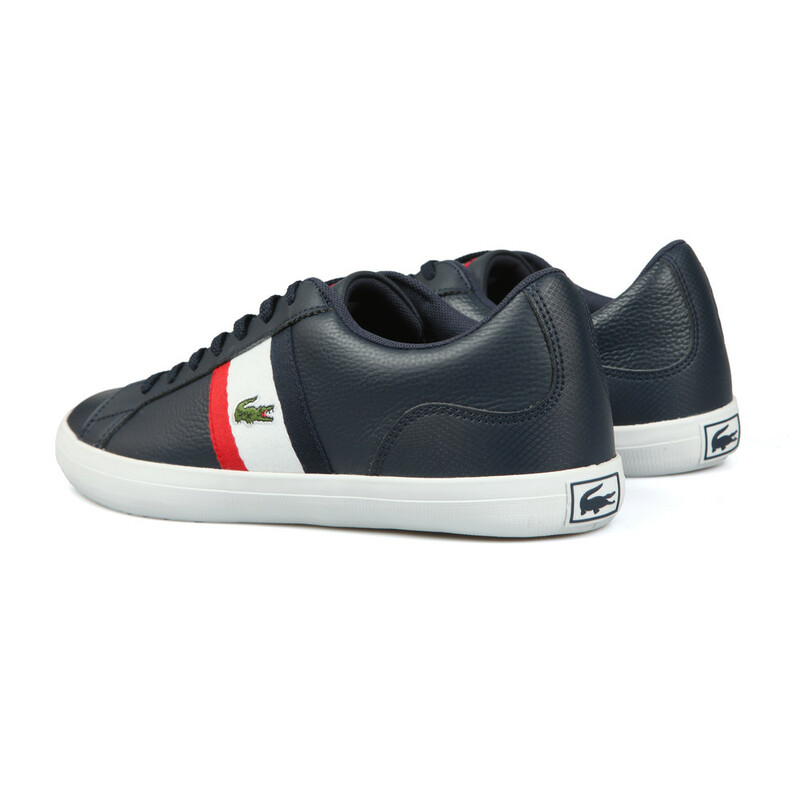 A tri-colour textile patch is added to both sides of the shoe in matching colours to the French flag and carries an embroidered crocodile logo.